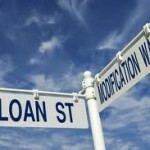 A loan modification is an update to either one or multiple terms of a loan in order to make it affordable for the homeowner. Most lenders insist that a homeowner be behind on their mortgage payments first in order for the mortgage company to consider providing a loan modification. But some lenders are now willing to provide a modification based on anticipated financial hardship because of rising foreclosure rates. Mortgage lenders make these modifications on an individual basis because each borrower’s financial situation is different. In order to seek a modification, you have to be able to show your lender that soon you will be behind or are already behind on your mortgage payments because of a financial hardship of some kind. A few examples of hardships would be things such as the death of your spouse or the co-signer of the mortgage if someone other than your spouse is on your mortgage loan, the loss of your job, a divorce, a serious illness, the relocation of your job, or being called up for a military deployment. A detailed letter describing your hardship is required to be sent to your lender and your lender may also require other documents such as your tax returns, banking statements, pay stubs, etc that would support your description of financial hardship. 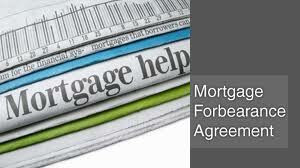 Your lender’s main concern is that you have the ability to make the new loan payment amount. If you cannot show that you have the ability to pay the new payment amount by providing financial statements that present your expenses and income, your request for a modification will not be approved. This is vital, especially if you are currently unemployed or employed but considered “under” employed. Most of the time if your mortgage company approves your modification, the amount your are behind will just be added to your principle balance. At times though, your mortgage company might insist that you pay a lump sum amount to show a good faith effort and show your ability to pay the new loan payment amount. The mortgage company will also provide an escrow analysis to be sure that enough funds are being collected in order to cover your insurance and property taxes. Your mortgage company might also insist that you have an escrow account created if you don’t already have one which would be done by depositing 2-3 month’s of escrow payments. Forbearance means a short-term loan modification. In one instance your lender may allow you to skip several months of payments. Or, if you are a few months behind on payments, your mortgage company might let you pay the arrears out over a few months while you continue making the regular monthly payment. Let’s say your mortgage payment is $600.00 per month and you are behind by 2 months. Your mortgage company might agree to let you pay $900.00 per month for 4 months to get your payments caught up. Once you are current again, your monthly payment amount would go back down to $600.00. Mortgage servicers don’t want to give modifications. Mortgage servicers want to foreclose. Many mortgage servicers will tell a homeowner to stop making their mortgage payments or not to make any payments while they are being reviewed for a modification. This causes the homeowner to get further behind. Then they start playing games, asking you to send papers over and over, or stating they never got them, or you didn’t send them, and there is delay after delay after delay. Many times the modified payment is only a few dollars less than the original payment. Homeowners who desperately need a modified payment are denied modifications. Allowing homeowners to skip several months of payments causes them to get behind. Even if you get into a modification program the servicer may claim you defaulted somehow and refuse to allow you to continue the program. The Making Homes Affordable program, or HAMP, is a modification program that many of the largest banks and servicers were forced to participate in when they took the bailout money. The problem with HAMP modifications is that although each one of the servicers is required to screen homeowners for a modification, they are not required to give modifications. Everyone is getting to go through the screening process, but very few homeowners are getting a modification. One serious problem with forbearance and loan modifications is that most of the time, the homeowner is never provided with anything in writing showing the terms of the agreement. In many cases, because the mortgage company’s left hand doesn’t know what the right hand is working on, the foreclosure process will begin even though you are making payments according to the terms of the agreement to modify your loan. Be aware that your servicer will foreclose while they are working with you on a modification. Because of this, it’s important to demand that the lender provides a forbearance agreement or modification in writing and that it must have your signature of acceptance. After signing, you need to keep copies of the written agreement in your records. Do not ignore foreclosure notices, no matter what the mortgage company tells you! You should know that a request for a forbearance agreement or loan modification gives your mortgage company the opportunity to look back at your original loan application. If your mortgage company compares your financial statements and documents submitted by you now to your original loan application and finds discrepancies, you could possibly be accused of mortgage fraud. This could be used against you in any suit you file against the mortgage company and it could even result in criminal prosecution. We don’t see this very often since most lenders are too busy committing fraud themselves.